Where there is smoke, there’s a fire but there’s nothing to be alarmed about here because, a good roast needs a blazing hot fire. Blue Lotus Chinese Grill House at Tanjong Pagar serves all the fan favourites, for which they are famed, such as Hickory Smoked Honey-glazed Kurobuta Pork Ribs ($16++), Whole Iberico Suckling Pig ($238++), Roast Rack of Lamb in five spices ($32++) as well as a selection of other modernised thoroughfares. 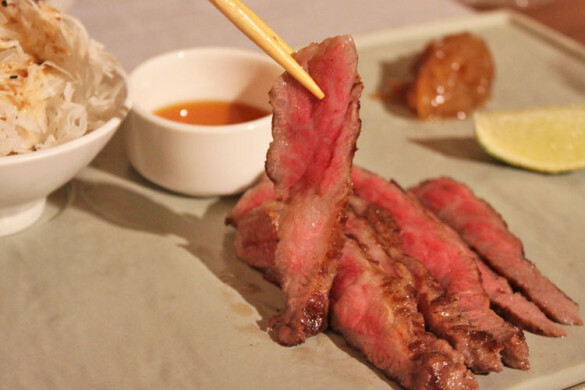 Blue Lotus could have a beloved but run-of-the-mill Chinese roasted meat restaurant. However, it has chosen to deviate from tradition by putting on just the right amount of spin to its recipes to keep palates piqued. 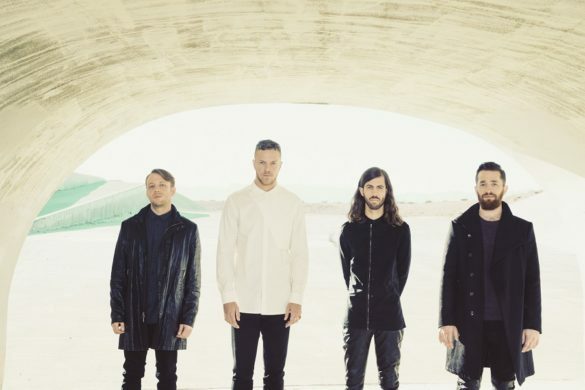 Dispel your notion that this is yet another tired East-meets-West fusion concept. For one, I have always been more than a little suspicious of faddish cuisines that proclaim to be the apex of cultures. It is so mixed up and confusing that most of the time it is seen as the wolf in sheep’s clothing of the culinary world. Blue Lotus builds on time honoured recipes but their strong point is in not letting those rigid recipes restrict them. Why can’t Yu Sheng ($48 small/ $68 large) have walnuts or even crispy fish skin? Can eating chilli crab be a more civilised affair? 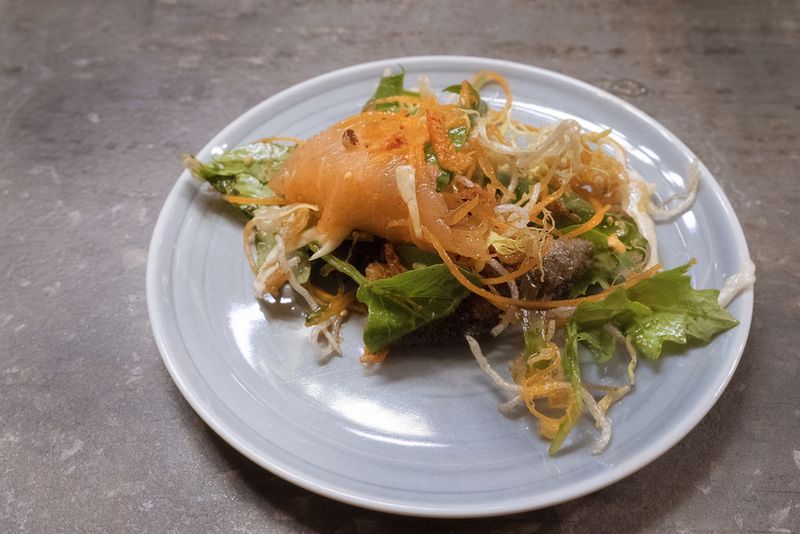 Purists might balk but these were quite likely the questions that the chefs confronted when they decided to push the envelope on traditional Chinese food. The fanfare is still intact but the dish comes with fresh spinach leaves, sakura Ebi, glazed walnuts and crispy fish skin. The new additions turned this excuse for a food fight into something that I would fight to have a bite of. 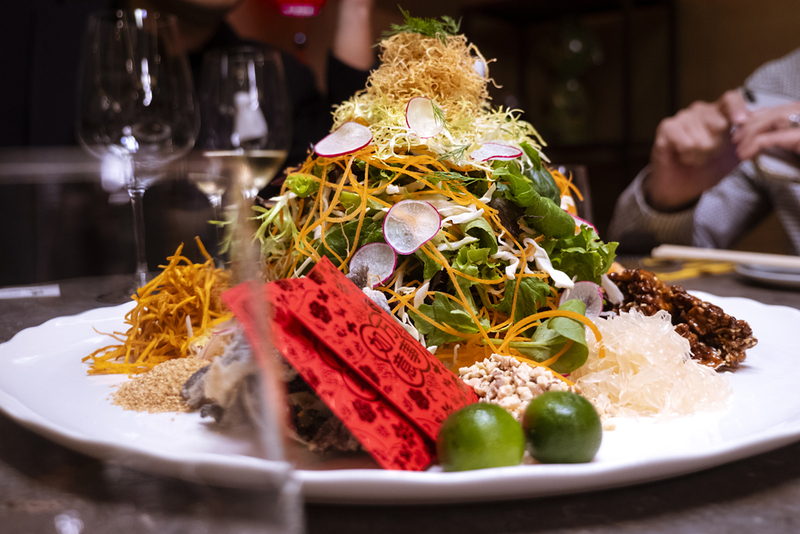 The crisp, refreshing flavours makes this the most delicious Yu Sheng that I’ve ever tasted. 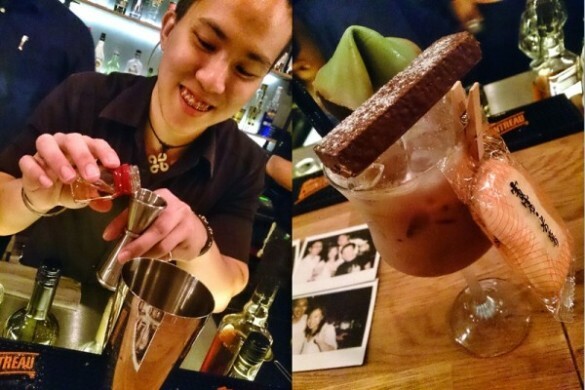 Owner and managing director, Ricky Ng, born and raised in Hong Kong is serious about soup. 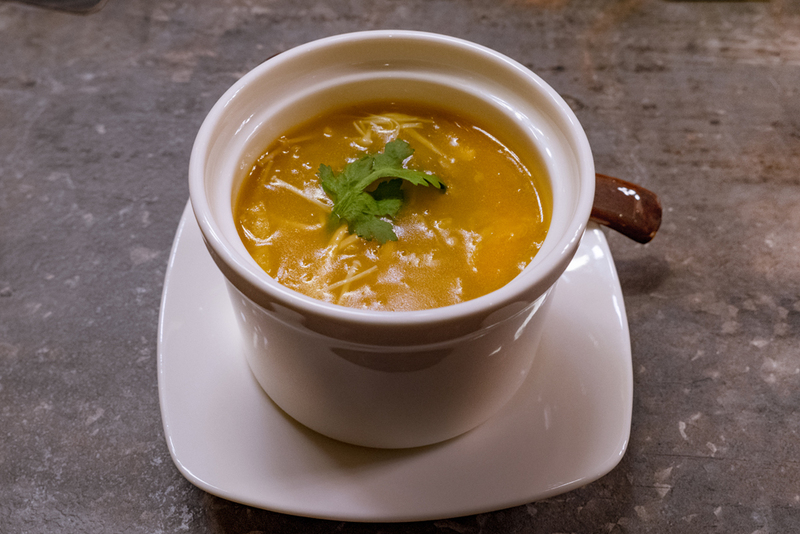 There is a selection of consommé and broths to bring heart warming comfort on any day, no matter what ails the mind or body. The Braised “Tan Jia” Style Sea Treasures Broth ($18) is that panacea. Its rich flavour does not leave one guessing how much of the “eight treasures” was used in its preparation but the texture was a little too thick for me. I would have preferred a thinner consistency. At ($235++), the roasted Iberico Suckling Pig is pricey enough to make eyes water but if you are a Blue Lotus Gold Member (join here) you are in for a real treat! Members pay only ($198++) to get the same delicious dish. 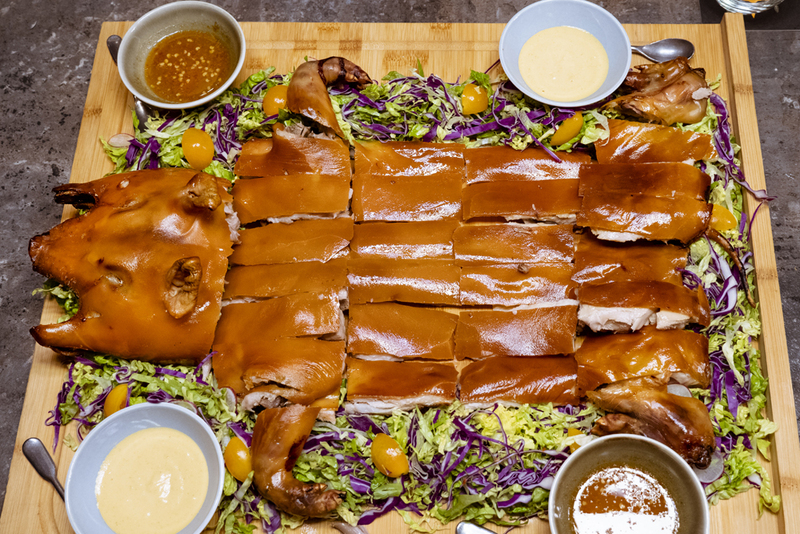 The expertly roasted pig is tender and juicy with skin that is not too oily and delightfully crispy. The platter comes with two different sauces but it is so flavourful that it tastes great on its own too! Chilli crab without the mess, who would have imagined? Chef cooked up two very distinct styles here. 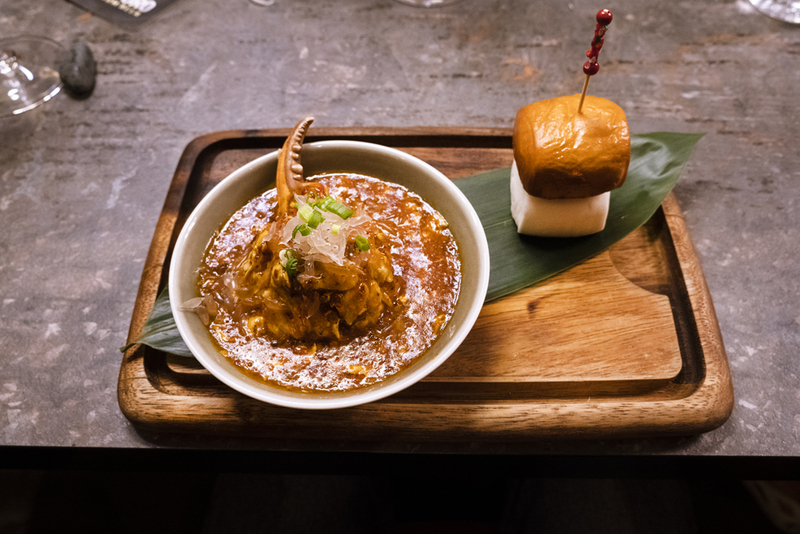 The first is all about the plating and serves a huge claw sans shell half dipped into the house chilli sauce, with mantou buns- one steamed, one fired – accompanying. 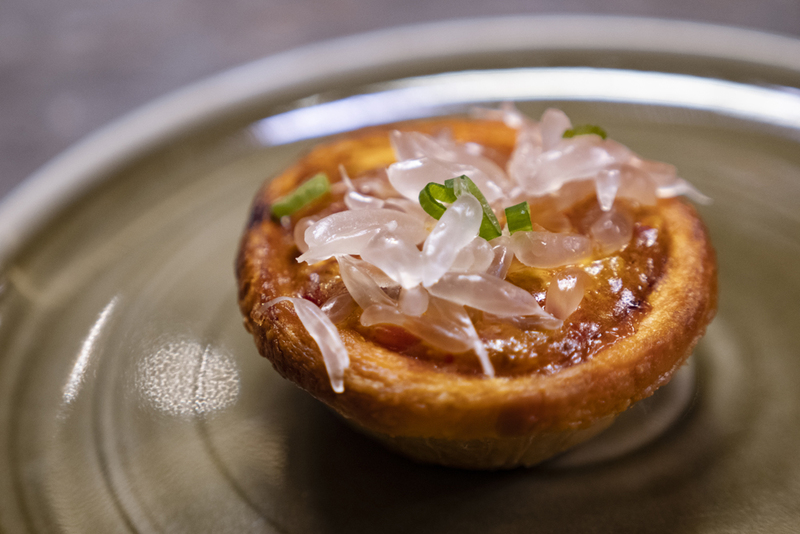 The second version pipes the same chilli concoction into a pastry shell with refreshing beads of pomelo flesh as a garnish. The chilli crab sauce is of thick consistency, not unlike a sweet and sour soup. 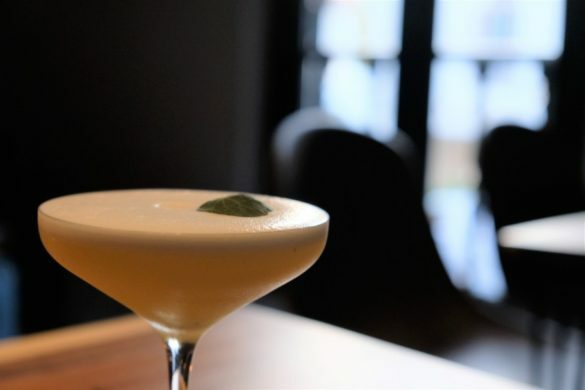 Where it departs from the Singaporean original is in a slightly sour flavour that reminiscent of a Peranakan assam curry. It might not be everyone’s cup of tea but I do appreciate the creativity that led to its creation. In small portions such as this it is a good appetiser. Coming back to familiar territory, the claypot rice look-alike Hot Stone Pork Lard Rice ($20++), and carrot cake were less adventurous but just as well prepared as the best out there. 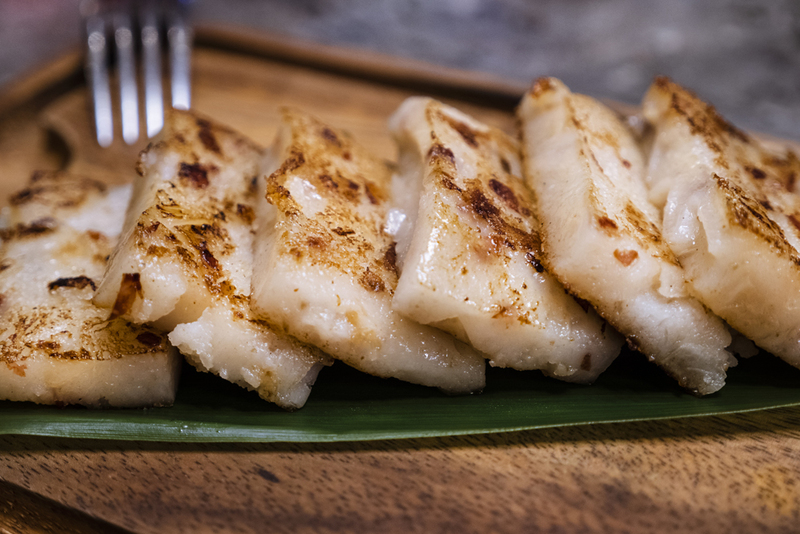 Other similar dishes like Steamed Glutinous Rice in Lotus Leaf will be available during this Chinese New Year season. The right amount of charred crispy bits in both keep me satisfied. 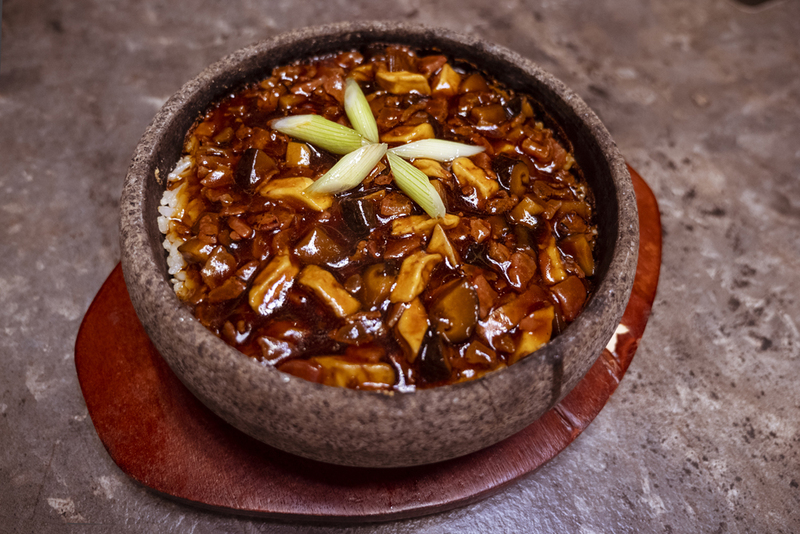 The claypot rice was fragrant and, most importantly, tasty. On first sight, the sauce looks overwhelming but once stirred in, it thins out and coats the rice evenly without overpowering. 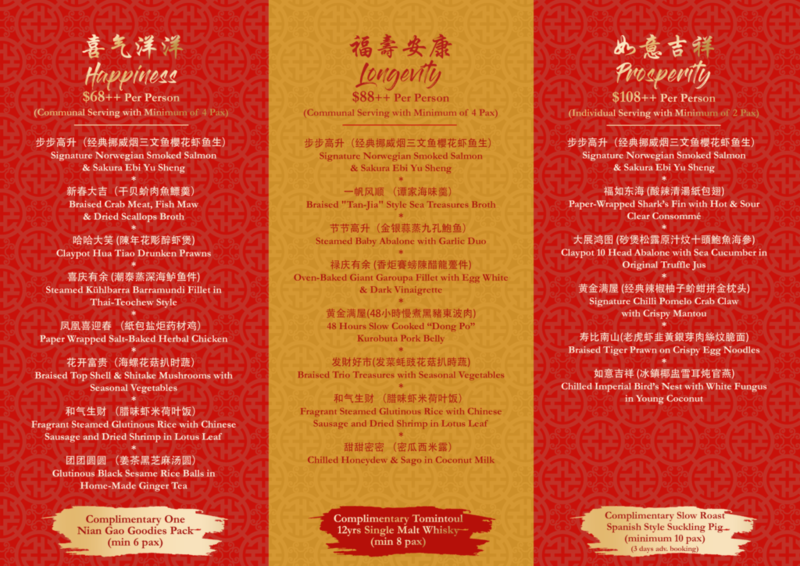 As part of the upcoming lunar new year celebrations, seasonal items and even set menus have been released. 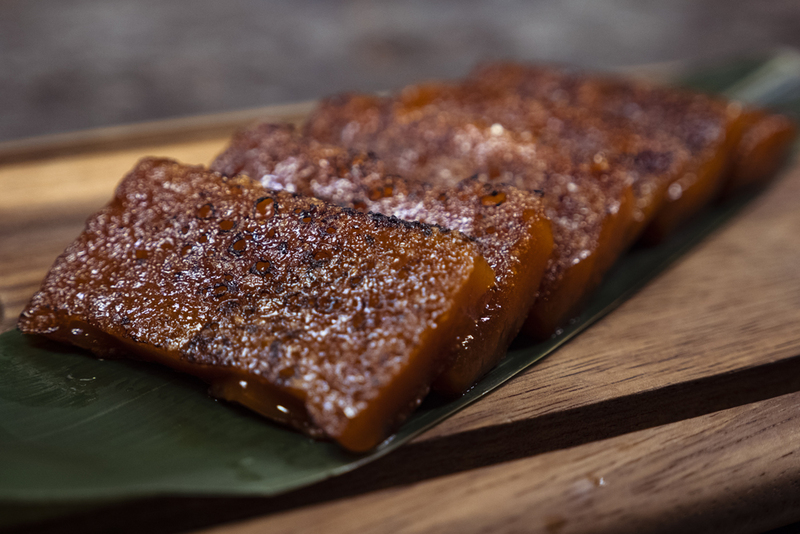 One to take note of is the Nian Gao rice cakes that come in multiple flavours. For purists, there is the traditional variant and there is also one made with red dates. A metal tin made up of four levels to resemble a tingkat houses the cakes and makes a very presentable festive gift at ($38++). Blue Lotus does not have an extensive dessert list. That is likely because the mains themselves are enough to fill you up. Roast meats, rice, and rice cakes tend to do that. 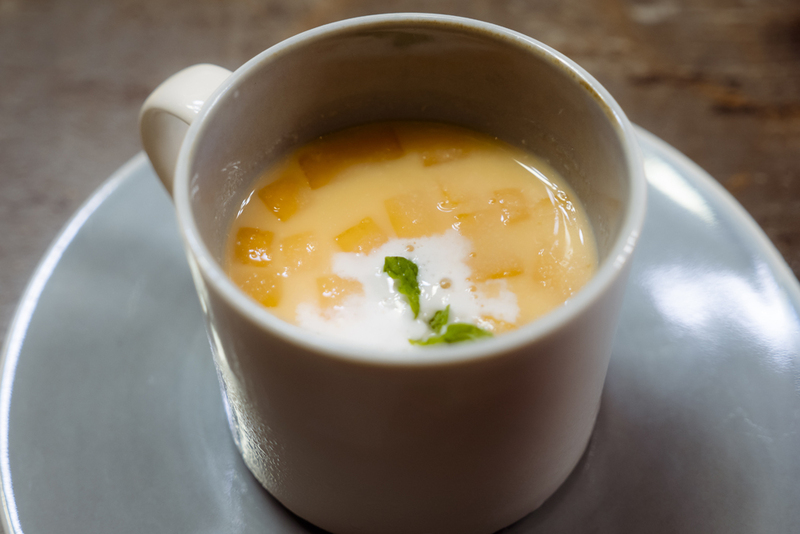 However in case you have a second stomach reserved solely for desserts, the fruity mango pudding is one to go for. 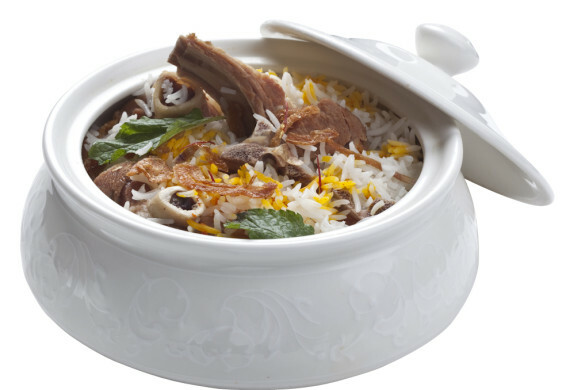 In characteristic style, the recipe is largely honoured save for a sprinkling of mint leaves that adds just a touch of brightness to it. Dessert concluded my meal here but having been accommodated in the private dining room with a KTV machine, the dinner session didn’t end there. The room can be booked upon request and can fit ten or more diners. The innovation at work here is commendable and I have to say it works in most cases. As such, I rate the dining experience here a solid 7/10.